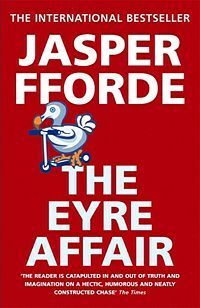 "Welcome to a surreal version of Great Britain, circa 1985, where time travel is routine, cloning is a reality, (dodos are the resurrected pet of choice), and literature is taken very, very seriously. England is a virtual police state where an aunt can get lost (literally) in a Wordsworth poem, militant Baconians heckle performances of Hamlet, and forging Byronic verse is a punishable offense. 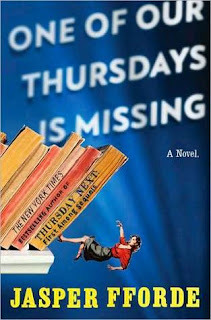 All this is business as usual for Thursday Next, renowned Special Operative in literary detection, until someone begins kidnapping characters from works of literature. When Jane Eyre is plucked from the pages of Brontë's novel, Thursday must track down the villain and enter the novel herself to avert a heinous act of literary homicide." 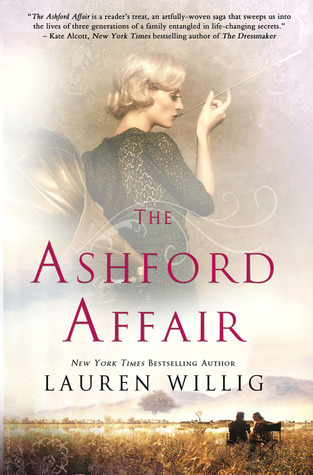 I have reread The Eyre Affair numerous times and with each reading I find new and wonderful details that I missed before, I laugh out loud, and I generally feel smarter. The amount of detail he puts into all his descriptions of different literary characters, figures, stories, etc...are so fantastic. Having read many of the works he references myself, I get such joy from his parodies and satires of novels and novelists such as Jane Austen, Charles Dickens, and Shakespeare. 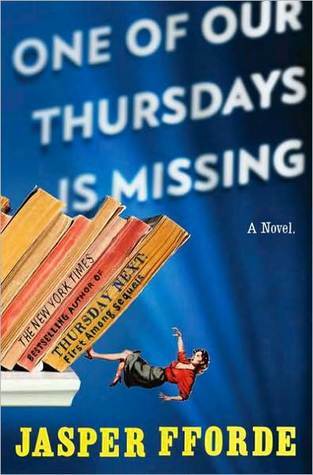 Jasper Fforde's 'Thursday Next' series is smart, funny, creative, and oh so enjoyable to read. Do yourself a favour and go pick one up!